Not too many moons ago, UFC president Dana White was on the brink of forcing Wanderlei Silva (Pictured) to hang up his MMA gloves. Despite losing seven out of his last 10 scraps, including a unanimous decision to Rich Franklin on Saturday at UFC 147, it appears White won’t be convincing the 35-year-old to hit the retirement home anytime soon. 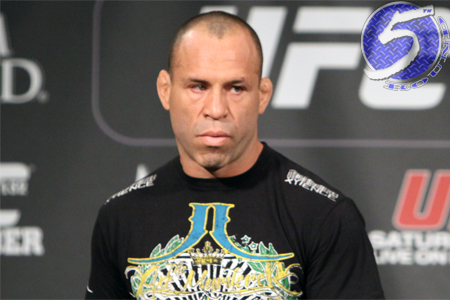 “Wanderlei almost won that fight [against Franklin],” White stated on FUEL TV’s post-fight show. “It is tough to say [what’s next for him]. He used to be my arch nemesis over at Pride. Roughly 10 years ago, Silva was one of the baddest men walking the face of the earth. He rattled off 16 consecutive wins en route to capturing the Pride middleweight crown. In case you didn’t know, Pride was running MMA long before the UFC became THE UFC. However, “The Axe Murderer” was starting to get put to sleep on a regular basis and White didn’t want for one of the game’s most popular athletes to end his career on other fighters’ highlight reels. White had forced UFC Hall of Famer Chuck Liddell into retirement for the same reason. Although, it appears a TKO victory over Cung Le parlayed with his near win against Franklin will allow Silva to prolong his Octagon career. So a fight against Father Time will have to wait for another day. Just keep in mind, FT is and will forever remain undefeated.